Can North American Energy Exports Reduce Europe’s Dependency on Russia? THIERRY BROS, Paris School of International Affairs – Sciences Po. Presented by the CIPS and the Security Studies Network (SSN). Free.In English with bilingual question period. Registration is not required. Seating is limited and available on a first come, first served basis. A light lunch will be served. The European Union (EU) imports 53% of all the energy it consumes at a cost of €1bn per day. Energy makes up more than 20% of total imports. Specifically, EU imports: 90% of its oil, 70% of its gas, 40% of its coal and uranium. Russia accounts for 47% of Europe’s oil demand and 25% of Europe’s gas demand. Russia exports 66% of its oil and gas to Europe for an estimated $180 bn in 2015. Security of supply concerns every EU Member State, even if some are more vulnerable than others. As oil and coal are each a global fungible commodity and as uranium is only a small part of the total cost of the nuclear fuel, the pressing issue is in gas. Therefore one of the 5 dimensions of the new Energy Union strategy is to diversify external gas supplies thanks in particular to new Liquefied Natural Gas (LNG) supplies from Northern America and Australia and new pipe gas coming from Azerbaijan via the Southern Corridor. In the US, the first liquefaction plant in the Gulf of Mexico is expected to be operational by end 2015 and 3 other projects are being built. It is expected that most of the volumes would be directed to the Asian market, but Europe is the “dumping” ground for excess LNG. Will Russia let too much North American LNG berth in Europe? 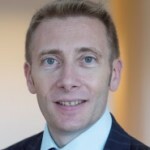 Thierry Bros was appointed Senior European Gas and LNG Analyst for Société Générale’s Commodities team in 2010, having joined the group in 2007 as a Senior Financial Analyst to provide recommendations on listed pan-European gas stocks and in-depth research on gas issues. Thierry was a Senior Oil & Gas expert at the French Ministère de l’Economie des Finances et de l’Industrie (2002-2007) and was, for six years, Head of Internal Communications at IFPEN, an oil & gas research institute. He is the author of the book After the US shale gas revolution published, in 2012, by Editions Technip. In 2013, Thierry was appointed as a member of the EU-Russia Gas Advisory Council which provides recommendations on long-term gas cooperation to the Russian Federation Minister of Energy and the European Commissioner for Energy. Thierry Bros is also a visiting faculty professor at Sciences Po Paris. Since 2013, he is the best ranked gas analyst in Europe.